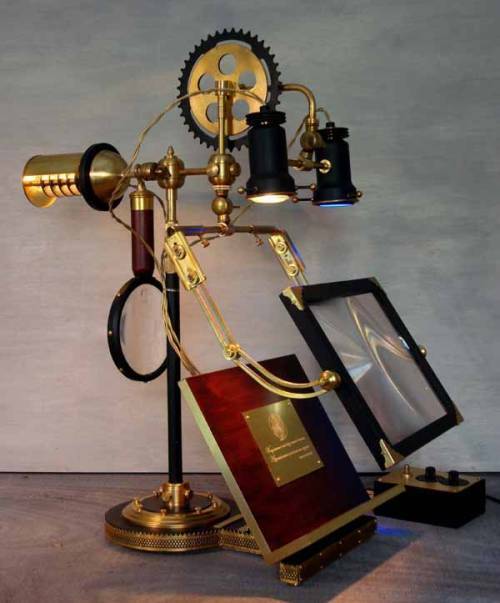 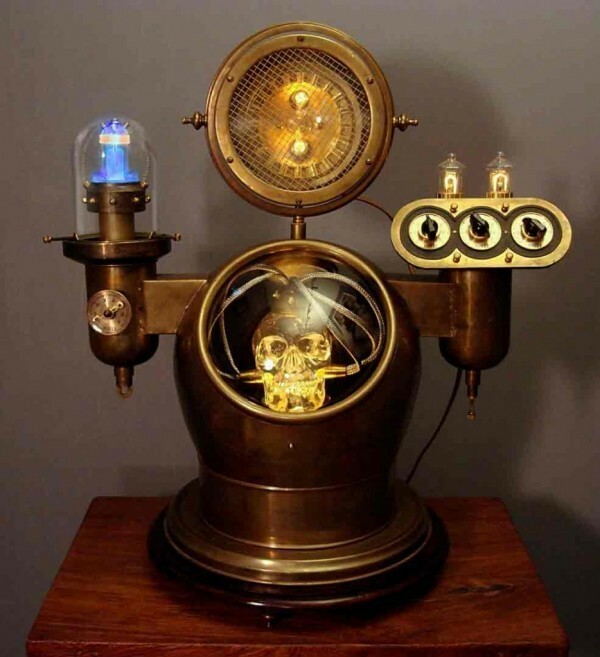 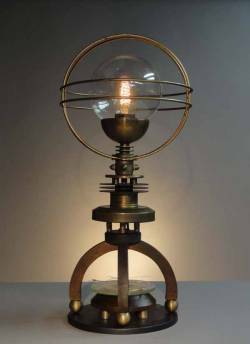 New York City based designer Art Donovan is author of The Art of Steampunk, a book on creating steampunk sculptures from upcycled junk. 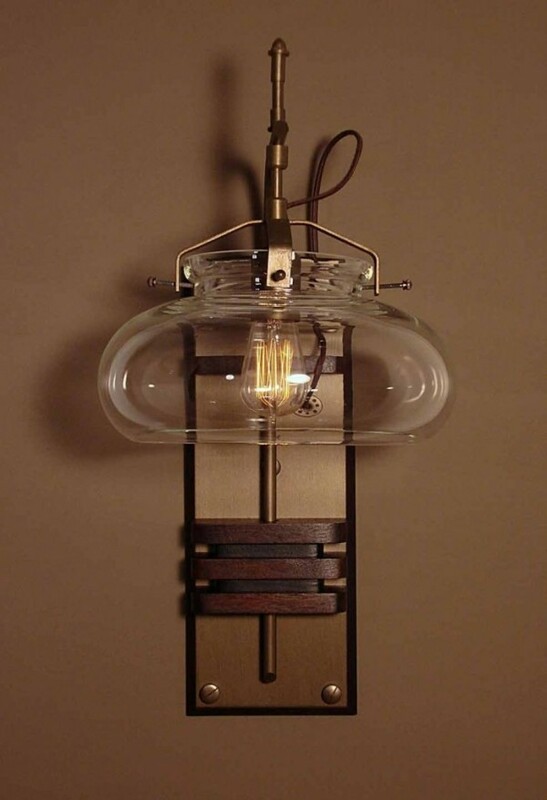 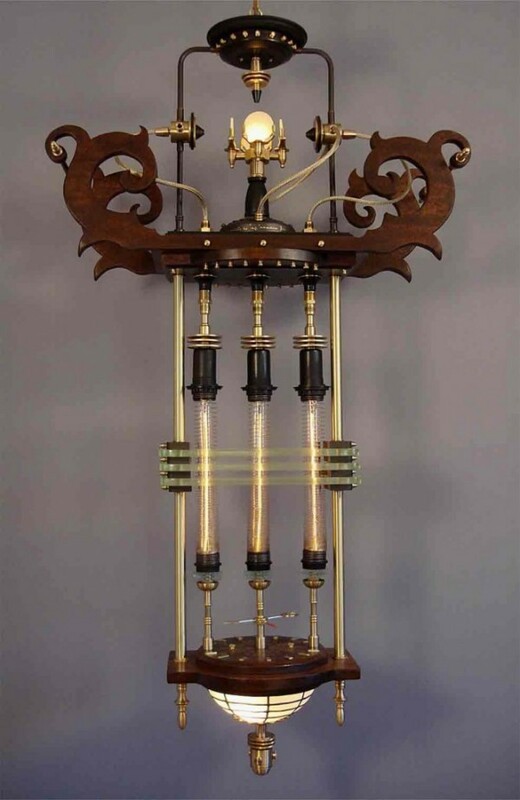 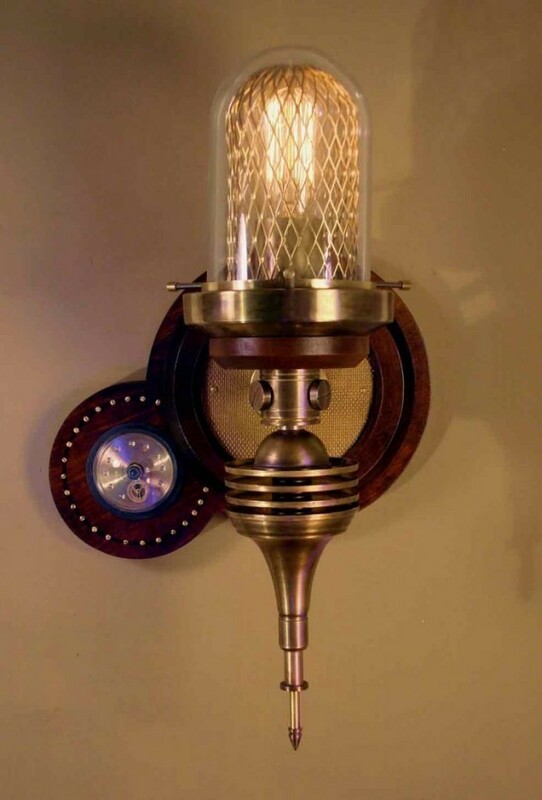 Donovan specializes in hand crafting custom lighting, and these are some examples of his best work. 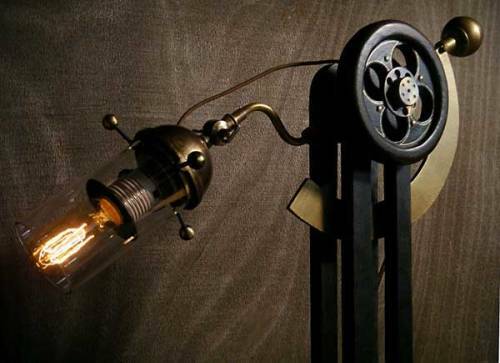 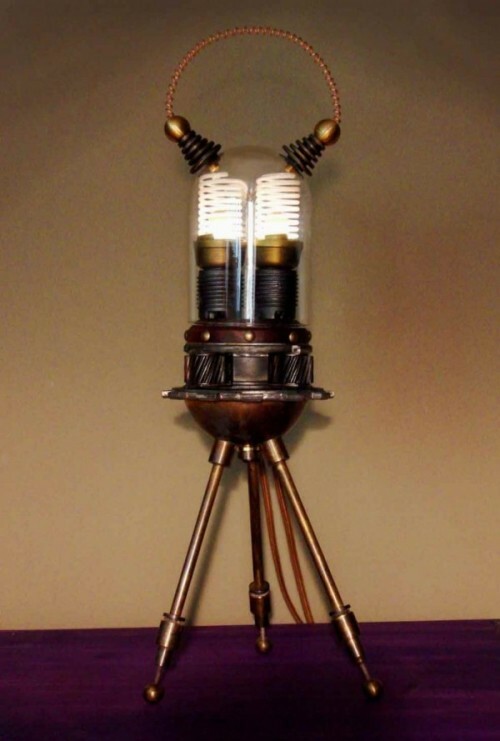 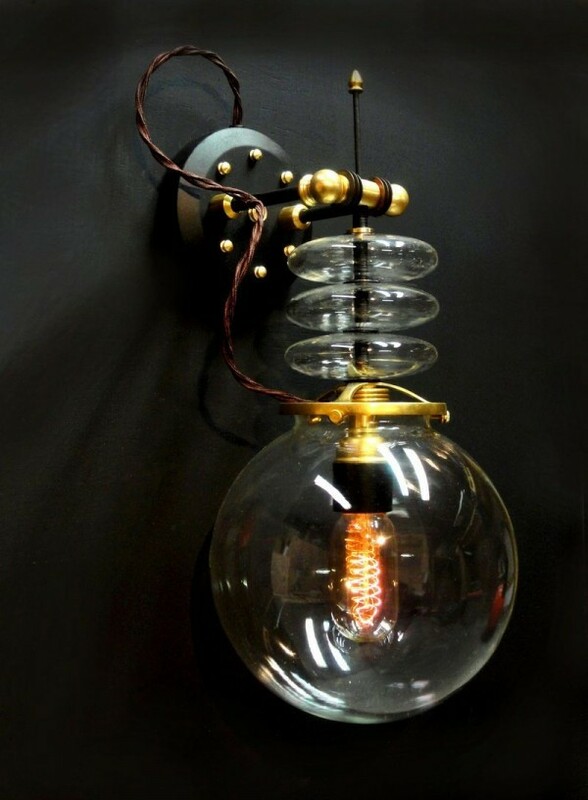 Sadly, I think if I could make light fixtures like this, I'd need to buy a new house cool enough to install them in. 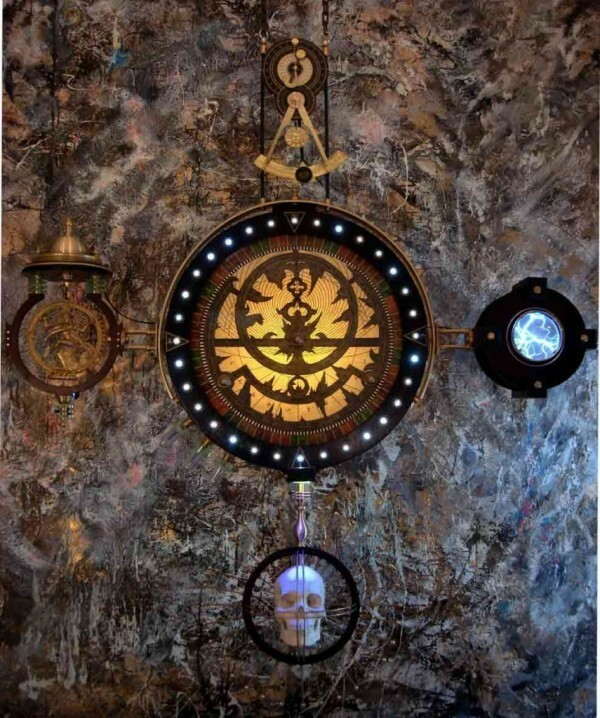 Did I ever thank you for the lovely post here about my work?